This week is FIRE week on The Frame Loop – here are our choice selections of toasty artworks. 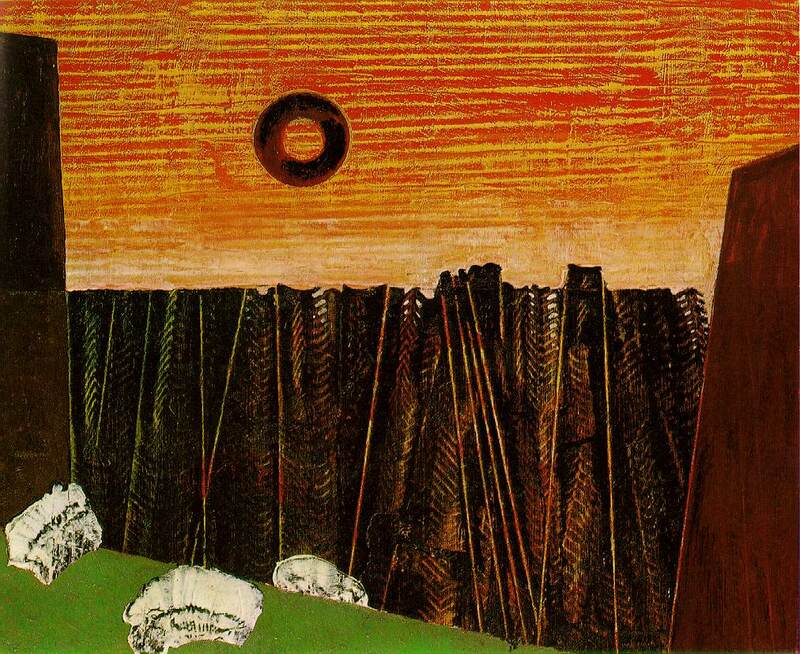 Max Ernst was a German artist instrumental in both Dada and Surrealism movements. There’s a distinct aridness here, and the jarring contrast between the vertical and horizontal sky strokes in the framing make this a disorientating composition. Whistler is, of course, best known for his portrait of his mother, an artwork popularised by none other than Mr Bean: The Movie. 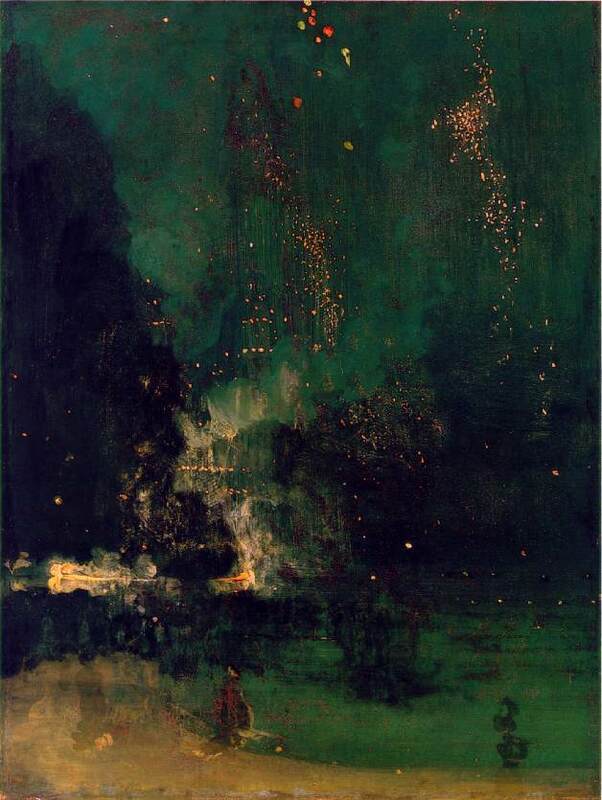 This oil painting depicts a firework display in Battersea. The colours have great depth; the orange sparks are positively luminous against the sky’s green billows of fog. From rocket to rocket. Here, American Pop artist Robert Rauschenberg transposes an annotated diagram of a rocket over found images of politicians and a pelican, his trademark swathes of paint lying beneath. French painter Paul Gauguin spent a long period in Tahiti, the resulting work receiving acclaim as well as criticism for its supposedly reductive, almost token exoticism and ‘Primitivist’ approach. 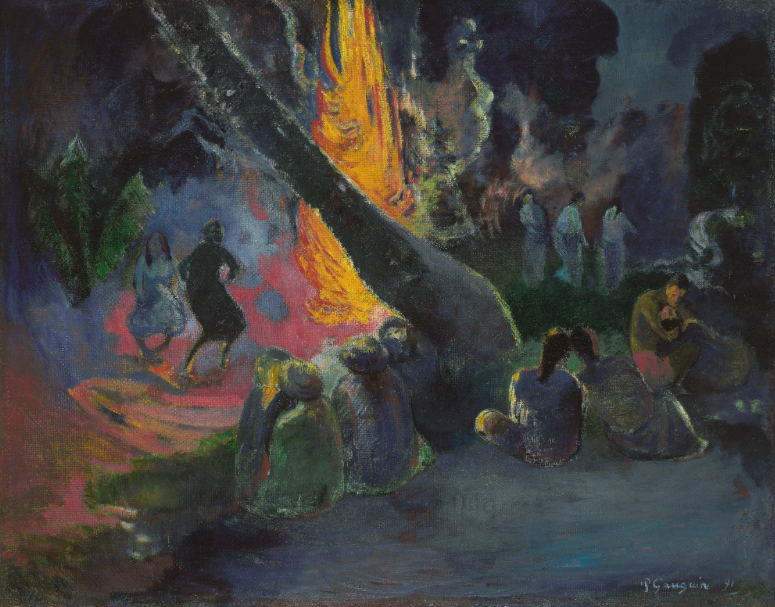 Which ever way you side, the use of colour in Fire Dance makes for a striking and wholly memorable composition. 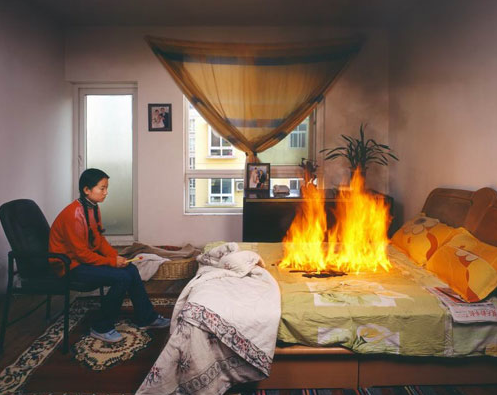 Chinese photographers Li Yu & Liu Bo frequently find subject material in improbable real-life stories, as wells as the myth of the tabloid. The seeming despondency of the female subject and bizarre stillness in this image are greatly unsettling. Listen to this week’s playlist for some FIERY tunes. Remember to subscribe to The Frame Loop podcast via iTunes, follow us onSoundcloud, and our swanky new PodOmatic profile. This entry was posted in Other stuff and tagged art, fire, james whistler, li yu and liu bo, luke richardson, max ernst, paul gauguin, photography, rob fred parker, robert rauschenberg, the frame loop. Bookmark the permalink. On a cold day in London, you brought warmth and colour and imagination to me. Thank you. Just beautiful images and clearly chosen with love.